“We should avoid over administering the area and in particular sending too many outsiders into tribal territory. Various avenues of development have to be pushed within the broad framework of five fundamental principles. 1. People should develop along the lines of their own genius and we should avoid imposing anything on them, we should try to encourage in every way their own traditional arts and culture. 2. Tribal rights in lands and forest should be supported. 3. We should try to train and build up a team of their own people to do the work of administration and development. Some technical personnel from outside will, no doubt, be needed especially in the beginning. But we should avoid introducing too many outsiders in the tribal territory. 4. We should not over administer these areas or overwhelm them with multiplicity of schemes. We should rather work through and not in rivalry to their own social and cultural institutions. 5. We should judge results not by statistics or the amount of money spent but by the quality of human character that in involved”. All the district headquarters of the erstwhile NEFA were established between 1953 and 1955. The sub-division were under Assistant Political Officers I (later designated Assistant Commissioners) and Assistant Political Officers II (later designated Extra Assistant Commissioners); and administrative circles were under Base Superintendents ( later designated Circle Officers). Though a separate Indian Police Service cadre had been constituted for the Union Territories, NEFA became a Union Territory under the changed nomenclature of Arunachal Pradesh only in 1972. The policing of the area prior to that was entrusted to the Assam Rifles which actually served as frontier guards but also had the additional duty of protecting the newly established administrative centers as well as maintaining peace amongst the tribes. Those days the Assam Rifles was under the command of a Civil officer- the Inspector General of the Assam Rifles-who was responsible to the governor of Assam, in his capacity as Agent to the Government of India. There was no change either in character or status of the organization till 1959. the situation along the international border after 1959 began to grow hot and tense in view of repeated Chinese intrusions across the border, as a result, the Assam Rifles was placed under the operational control of the Army. Even after the Chinese attack in 1962, the Assam Rifles continued its functions of Civil Police in certain forward areas. It was much later that the CRPF was inducted in a big way for the purposes of policing. In view of the growing problems, Govt. of India sanctioned in October 1967 a skeleton staff for the Civil Police set-up. All the posts, however, could not be filled. Some officers were drawn on an adhoc basis from other forces. 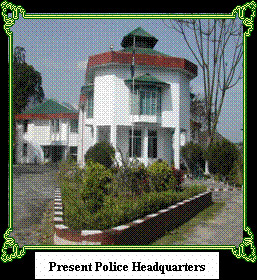 Small Police Stations were established at 5 DC’s Headquarters and one at Pasihgat (ADC Hqrs). The force functioned under one AIG with no Superintendent of Police or Deputy Superintendent of Police, except one DySP who was utilized as DySP (Intelligence) and DySP (Hqrs). 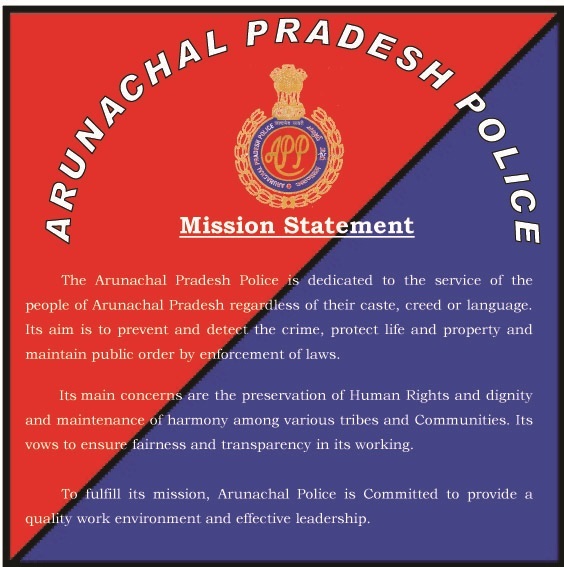 In the beginning efforts were made to set up a full fledged Arunachal Pradesh Police by Shri G.C. Singhvi, an IPS officer of Rajasthan cadre (1955), who joined at Shillong in 1969 as the first DIG of Arunachal Pradesh Police. Five more IPS officers in the rank of SP also joined at five district headquarters. Subsequently, all these officers were withdrawn due to practical and administrative difficulties. Later, Shri L.B. Sewa, an IPS officer, originally of Assam-Meghalaya cadre (1958), and later of Uts, shouldered the responsibility of setting up the Arunachal Pradesh Police in the year 1971. He functioned as AIG with his headquarters at Shillong. It was his pioneering efforts which paved the way and created conditions for establishing the force on a firm footing. He can be truly described as the Architect of Arunachal Police. He was later posted as a DIG in Mizoram where he succumbed to injuries in a militant action in 1974. The present GO’s Mess at Itanagar is named after him, in view of his invaluable contributions. Under his leadership, the sanctioned staff slowly and steadily started taking position in 1972. Some officers were called on deputation from Assam Police. Some ex-army JCOs were also recruited to impart training to the recruit Constables. Also, during the same year, the first batch of 30Sis and 18 ASIs were recruited. These officers were trained at the Assam Police Training College, Deregaon. The officers were sent for practical training to Assam/Meghalaya. After training the officers were posted to various districts in Arunachal Pradesh. 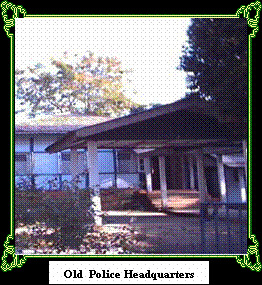 The year 1973 marked the beginning of the Police Training Centre, Banderdewa under an ex-army Subedar. The first batch of recruits passed out on 8th November, 1974. By this time the Police Act of 1861 had been extended to the whole of Arunachal Pradesh, as such, a need was felt to declare the entire area as a General Police Distt., as per the statutory requirements. 1. A Class Police Stations, where DC was the head of other administration. 2. B Class PSs where ADC was the head of administration. 3. C Class PSs-other Administrative Centres. In the year 1979, 4 more Police Stations started functioning. Since then there has been speedy process of modernization, development and expansion of the Arunachal Pradesh Police. On 20th February, 1987, Arunachal Pradesh acquired the status of a State and thereafter the force has taken rapid strides. The Arunachal Pradesh Police got the privilege of being headed by Director General of Police on Feb 13, 2002. Sh. Suresh Roy, IPS, 1968 batch of AGMU- Cadre is the first Director General of Police of Arunachal Pradesh Police. The State Police is marching ahead to newer heights under the dynamic leadership of the present Director General of Police. At present there are 3 Ranges, 23 Police districts, 104 notified Police Stations (out of which presently, 85 Police Stations are functioning), 20 Out Posts and 25 Check Gates 2 AAP Bns and 5 India Reserve (IR) Bns. Now, the total strength of Arunachal Pradesh Police is 12024. Shri S.B.K Singh, IPS has taken over as Director General of Police w.e.f. 13/03/2018.He is an IPS officer of 1988 Batch born on AGMUT cadre. During his career of 30 years, he has worked in Delhi Police as ACP/Karol Bagh, Addl.DCP/South, DCP/North-East & DCP/Central Districts, Head of Economic Offence Wing, Joint Commissioner of Police/Crime, Special Commissioner of Police, Intelligence, Security and Special Commissioner of Police, Law & Order (North Zone). He has also served in Arunachal Pradesh and Pondicherry in various capacities and had a successful stint of 7 years in R&AW. Shri Singh graduated from the prestigious St. Stephen's College, University of Delhi in 1986 and entered into the Indian Police Service at a very young age. Later, he also completed MBA with specialization in Human Resource Management. He has been awarded with police medal for meritorious services and President’s Medal for distinguished service and Silver medal for National E Governance. He maintains a Blog by the name of ‘spiritual policeman’ www.sbksingh.com.